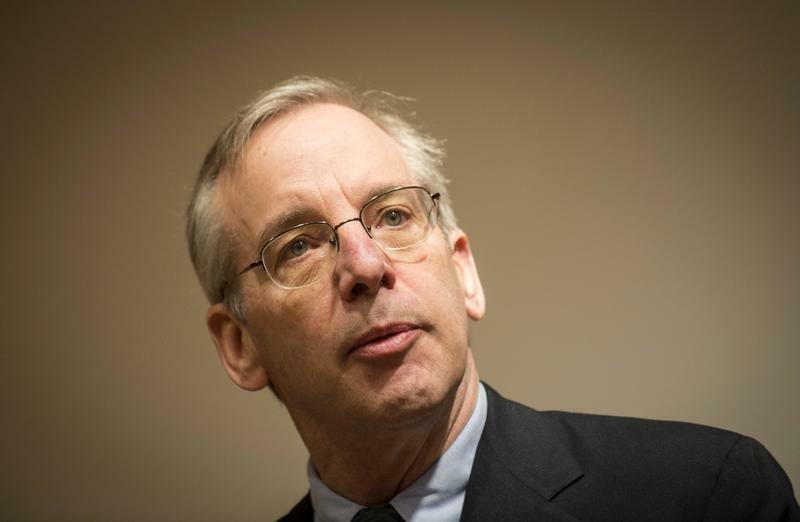 NEW YORK (Reuters) - New York Federal Reserve President William Dudley said on Wednesday the Fed could still hike rates in June despite a weak start to the year, if economic data pick up over the next two months. “I could imagine circumstances where a June rate hike is still in play. If the next jobs report is strong...if second-quarter GDP look like it is bouncing quite sharply," Dudley said in an interview with Reuters. He said there were still good reasons for the Fed to err on the side of hiking rates too late, in order to make sure as many workers as possible are pulled into the labour force. In addition the weak first-quarter data and recent weak jobs report means "the bar is probably a little bit higher" for a June hike.